It might be cold outside, but our oven is baking new creation everyday! 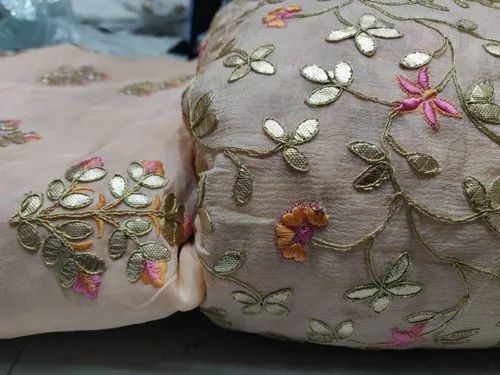 Right-Chinon Pure Embroidery Jaal- Rs.775/mtr. It might be cold outside,but our oven is baking new creation everyday! Established in the year 1972, Satkaar Fashions Private Limited, is the leading Manufacturer, Wholesaler, Retailer and Trader of Cotton Fabric, Chinon Fabric and much more. The offered products is designed and developed in compliance with international quality standards, using top grade basic material and latest machinery at our vast infrastructure unit. Our team ensures all our products are made in adherence with the set industry standards.